a natural, youthful, radiant appearance. Our newest lip filler and we are delighted with the results, Princess Filler manufactured by Croma (Austia). Croma are experts on hyaluronic Acid with 40 years of experience in the manufacuring of hyaluronic acid products, their Princess Filler HA+Lidocaine is a supreme aesthetic injectable. 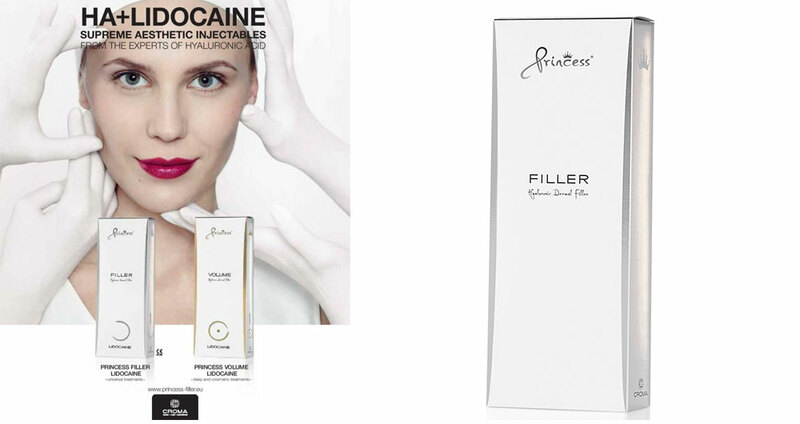 Princess Filler Lidocaine is a filler with O.3 Lidocaine cross-linked hyaluronic Acid perfect for adding volume and defintion to the lips. Almost everyone is suitable for HA fillers. Princess® can be used in different areas of the face to create individualised and natural-looking results. With minimal downtime it’s the perfect treatment to have a few days before that big night out !